Rents are rising because all the investors who bought real estate realize that they can’t break even on their overpriced investment. That being said, even at todays overinflated prices, its still cheaper to rent after you factor in all the variables. Your theory regarding rental prices is too naive to warrant a response. As for rentng being cheaper than buying…maybe in the short term, but in the long run I’m not so sure. The average Canadian mortgage is paid off in 17 years according to CAAMP’s latest stats, whereas renting lasts forever. Renters of new condos in Toronto are being hit with these high levels when they move in and then with large increases at the end of their lease not only because there are no rent control on these units. The landlords can increase their rent by whatever they want. It is also a no win situation for the owners who bought these as investments. It may have taken 4 or 5 years for their unit to be built and ready to rent out. Now they are faced with increasing property taxes and maintenance fees and have no choice but to raise their rents at the end of a 1 year lease. Sorry but how does what you said make sense? If investors are renting their units in increasing numbers, that would raise supply and LOWER rents. So you seem to assert that higher rental demand -> higher rent. Would you also say that lower purchase demand -> lower house prices? Or does another theory apply here? Btw, I have rented a burnaby condo for the past 2 years and haven’t had a rent increase. The average selling price in Toronto was $543,838 which is a $2,087 mortgage not including property taxes, maintenance and utilities. That number is for a 35 year mortgage at 3% interest so it really isn’t that much relative to the average cost of a property. This trend is making the rich richer. The rule changes last year were misguided and are already leading to creating/accelerating the condo bubble in Toronto. The government should have kept themselves busy doing something else besides messing with real estate. If prices don’t drop soon then expect a major increase in prices in the coming years as people realize prices were reasonable after all (and as rental prices skyrocket). Lets look at a the average condo in Toronto as an example. Average TREB reported price for 416 is $377,341. At 3% on a 25 year amortization you’re looking at $1,785 + prop tax + condo fees. If you want to break even, you need to charge your tenant $2,235 for a 1 bedroom downtown Toronto. This doesn’t apply to every landlord, however if you’re highly leveraged you need to charge a lot of cash to break even. This does have an effect on rental prices, no matter what you tell yourself. I would not recommend renting your entire life, however there is a good time to buy and a good time to sell. I didn’t say anything about investors renting their properties in increasing numbers. I said that the costs of a property will have an effect on its rental price. As an investor, would you buy something that costs you $2000 a month but can only be rented for $1500? Clarification: $2,087 isn’t a lot of money to rent a place when the costs of owning it is going to be considerably higher. That is only part of the story. Landlords can’t charge more if people aren’t willing to pay more. 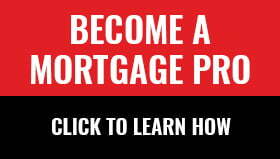 “Mortgage Rules Help Fuel Rent Hikes”. This title makes no sense. Can someone hold my hand and explain how these mortgage rules lead to rent hikes? First of all, most of these so called new rules were already in place before the Harper government turned the tap loose, and rent was not in 2003, the same as it is today. So it makes no sense to blame the rules. Secondly, the so called rules are not even a year old! In fact, most rents as of right now are exactly where they were as of the time the last rules went into effect, so if they are high, why blame the rules? Thirdly, even for leases that did expire between then and now, there is in most cases a strict limit to the annual rental increase that a landlord can impose on the tenant -except in those few cases where there has been a fresh vacancy. So this is just another case of calling a dog bad name in other to hang it. Brokers and real estate agents don’t like the rules changes, and for obvious reasons. So if a pregnant woman miscarries in 2013, the brokers will blame her miscarriage on the mortgage rules! Yep, rent is trending up, but what else is new? What other direction would rent possibly go, in a market where property prices are furiously trending up? You buy high, you rent out high. Its simple common sense. In toronto, a house that would have cost $280K a decade ago woudl today easily cost $850K or more. How can rents possibly stay the same? If you want to drive down the price of rent, drive down the cost of housing. The only one trying to do that, if you think about it, are the Feds. The rest of the crowd -brokers, bankers, real estate agents, appraisers – are wanting to drive up prices even more. So if anything, it is the brokers and agents that are raising the price on renters. What an ignorant post. You don’t deserve a response. I don’t see them saying that mortgage rules are the only factor. I think you are misreading. If mortgage rules make it harder to get approved, more people will rent. It doesn’t matter if the rules are new rules or merely old rules rehashed. More renters means more people willing to pay higher rents. If you can’t understand this, no amount of hand holding will help you. I agree, however it is a huge factor in rent. My statement was blunt and specific to one variable. I can tell you if the average price of a condo was $200,000 in Toronto, you would not be paying as much as people are to rent it when the average price of a condo is $377,341. Mortgage rule changes did help fuel rent hikes but not the mortgage rules implied in this article. The mortgage rules that fueled rent hikes were 0% down payments, allowing 40 year amortization compounded with other lax lending rules and record low interest rates. The effect of rising prices on rents would be negated if there weren’t enough renters willing to pay those inflated rents. In many markets, the renter population is growing faster than the rental stock. That’s partly because of mortgage restrictions that were enacted (or re-enacted) over the last few years. This is a real and undeniable factor driving lease rates — albeit, it’s not the only factor. What caused prices to rise to today’s levels is a separate matter. The point being made here is simply that reducing amortizations back to 25 years and lowering the GDS limit removed buyers from the market, as of the effective date of those rule changes. That turned many prospective buyers into renters. Had those rules not been imposed, past policy loosening notwithstanding, those buyers would still be in the market today. Whether today’s “shut-out” buyers would have been able to purchase, had it not been for looser lending standards pre-2009 is another topic. It’s one that is debatable because lending policy is only one driver of prices. One can’t ignore things like domestic population growth, immigration, supply constraints, income growth, urbanization and other factors. Take your axe and grind it elsewhere. You have no credibility here. Lowering amorts from 30 years to 25 years was like making people save another $20-25K before they can get a mortgage. That should take your average buyer what, another four years? Maybe rent appreciation will fall to the pace of inflation in 2017 or 2018 …if renters are lucky. Where are you getting your numbers: “most rents as of right now are exactly where they were as of the time the last rules went into effect” ?? Condo rents in Toronto are up 4.4% in the 12 months. That is 10 times the rate of inflation! Despite the naysayers advice for lo’ these many years now, the GTA market is not just resilient, it is amazing. Prices tracking double inflation and rents tracking so much more, are signs of a robust property market. Super low inflation, equally low interest rates and a healthy but not galloping realty market is good news. Bears can be so pessimistic, it’s almost catty. Have you compared the number of rental vacancies today to those from before July 2012? What are the results? How much has rent increased in the city of Toronto since July 2012? How many prospective buyers have been removed from the market? Where do these prospective buyers live? They probably already rent or live with a relative and will continue to do so. There are many inaccurate and misleading articles that have been written on this subject to perpetuate the myth that buying is better than renting. Higher rents are still a much better option than losing your shirt buying extremely overpriced condos. Once prices come down substantially these renters can then enter the market again. You are totally overstating vacancy, especially for good quality units in the downtown core. Those units are in high demand and new supply is simply not coming online fast enough to lower rental rates. You guys are funny… Condo rents are not regulated so you can increase it by 100% if you can find a big enough sucker. In comparison to your condo rental increase above, condo prices increased 5.11% from April 2012 to April 2013. According to the landlord and tenant board, Ontario rental increase guidelines for last year were 3.1% and in 2011 it was 0.7%. What’s the point of all these numbers? Its not accurate to insinuate that rents have increased by astronomical amounts due to the recent mortgage rules changes. Even with rental increases, it’s still cheaper right now to rent than it is to buy. And it will be until sellers stop hanging on to the idea that they’re going to be getting the returns that they would’ve seen last year at this time. Until then, yes, renters of all kinds are going to be another group that feels that pinch from these new rules. Ontario rental increase guidelines don’t tell us anything. They don’t apply to vacant units, nor do they apply to buildings built since 1991. Look, anything that raises rents is a serious issue. Renters have half the income of owners and are disproportionately harmed by higher housing costs. If this story is right, one sixth of potential insured buyers now have to rent. Anyone who thinks that won’t alter rental prices needs an economics lesson. When you say 1/6 of potential buyers have to rent, don’t you mean they have to continue renting? Its not like these potential buyers were not renting and will now flood the market and consume all available rental units. At this point in time, it would be cheaper for those people to rent a condo instead of buying one. The rental-housing shortage is now a national disaster. Hi Frank, There’s probably one point worth repeating. There is no assertion being made that rent increases are due solely to mortgage policies. Clearly that’s not the case. The story above states that rent increases are due “in part” to mortgage rule changes. When I read your article I don’t get that impression. “That pain will come from rules intended for home buyers.” The rules are intended to prevent a housing from balloning more than it already has in order to mitigate a downward slide and not to cause pain to renters or home buyers. The new Economist report states that home prices in Canada are overvalued compared to rents by 73%. As a renter in Vancouver, I would have to concur that it makes more financial sense to rent than buy. I am fortunate in that I have lived in the same house on the west-side for 7 years without one rent increase. I could never afford to buy the house I rent, which would likely fetch $1.8M. My biggest concern is that my landlord sells the house and we would have to move, in which case, I would consider buying because I value stability (and because of my insanely affordable rent, I have socked away a nice nest egg). Each market is different. For example, If I lived in Nanaimo, Prince George, Prince Rupert or Kelowna (discussing BC only), I would likely buy. At the moment, it makes no sense to buy in Victoria or Vancouver where rents are very affordable compared to housing prices. There’s also a lot more condos for sale now than there was last year. When a landlord puts their place up for sale, they often kick out their tenants to try to make the place more marketable. All those kicked out tenants searching for new places is also driving demand. However, that is a temporary thing. Eventually those condos will find buyers (when prices fall) and will either be rented out again or lived in by the buyer, both of which will be negative for rents. Unfortunately, intentions and actual effects aren’t always correlated, especially where public policy is involved. Many are not yet renting but will rent instead of buying. Others will continue renting for longer. It makes no difference. The point is that demand has risen and so will rental costs. This is not a difficult concept Frank. Attitudes towards renting seldom differs from that of would-be home buyers. A lot of people rent beyond their means and wonder why they can’t save for a downpayment. You don’t need to rent in the most upper crust neighbourhood when you’re a tenant. The idea is to live moderately so you can achieve your dream of home ownership. The same rule applies once you do become an owner so that you can continue to be one. (1) Condo rents may be increasing faster than prices right now, but this comes after many, many years in which condo prices increased far faster than rents. (2) The use of CMHC vacancy stats only makes sense when examining a single market longitudinally (over time). The CMHC’s vacancy calculation methodology makes using a single-point number, or comparing numbers between cities, very problematic. Similarly, rental vacancy and listings figures from realtors’ associations are also problematic. Reading all these comments and post I think owning a home is much better than renting.By doing this, all hard earned money will go towards home ownership, as opposed to something that will never be theirs to call home.